Send a Smile 4 Kids: Handmade Cards for Children’s Hospitals | Craft a Smile! 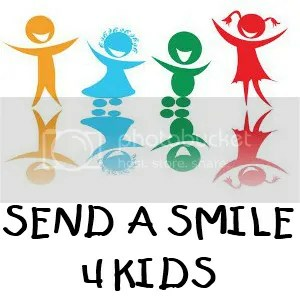 Send a Smile 4 Kids is a volunteer group that collects handmade cards from crafters and distributes them to Children’s Hospitals in the US and Canada. Card designers send Birthday, Valentine, Thank-You, and other holiday or non-specific cards but leave them unsigned to be used by hospital staff, patients or patient’s families. Children may receive these cards or send one; imagine the pride a kid will feel by giving a card and a moment of happiness to someone else- very empowering! Keep common sense in mind when designing; nothing that can be pulled off and wind up in a young child’s mouth for example; older kids will appreciate cards that aren’t too childish. Get your crafty friends together and create for a cause. Most of all… have fun! Thanks so much for featuring SAS4Kids in this wonderful blog post! Very well written – love it! Loveland, CO Valentine Remailing Program: A Jazzy Postmark for Your Valentine Cards!